What does having an anointing of the Holy Spirit mean? Do some Christians have this anointing while others do not? What does the Bible say about the anointing of the Holy Spirit? The Old Testament is full of references about being anointed but it speaks about being anointed with oil which is symbolic of having God’s special blessing or commission. Oil is also symbolic of the Holy Spirit or someone being empowered or enabled by the Holy Spirit. The Holy Spirit is not an anointing but is the Third Person of the Trinity. The Holy Spirit is actually God the Holy Spirit. When someone was anointed with oil in the Old Testament, they were declared to be set apart or consecrated for holy use by God (Exodus 25:6; Leviticus 8:30; Numbers 4:16). When someone was anointed by this oil, it was called the “holy, anointing oil” (Exodus 30:32-3); three times in fact which is representative of the Trinity. Did this anointing point to something that was to occur in the New Testament? The Apostle John said that Christians “have an anointing from the Holy One, and all of you know the truth” (1 John 2:20). Who is this Holy One? First John 2:27 gives us more on this anointing, “But the anointing that you received from him abides in you, and you have no need that anyone should teach you. But as his anointing teaches you about everything, and is true, and is no lie—just as it has taught you, abide in him.” Who is the bringer of the knowledge of God? This “anointing teaches” us about “everything” and it abides in us. It appears that the Holy Spirit is this anointing and if a person is a believer in Christ, they have this anointing with the presence of the Holy Spirit who abides in them. The Spirit teaches us about the things of God. Someone who says that a person is “really anointed” may mean that they have a special God-given gift and are using this anointing in a powerful way or they could mean that they really understand the things of God. Ultimately, all spiritual knowledge is from God the Holy Spirit however the Bible does not teach that only some can have a special anointing of the Spirit while others cannot; they can be walking in the Spirit but that is another issue altogether. Who is and Who is Not Anointed by the Holy Spirit? All believers are anointed by the indwelling of the Holy Spirit. Some can walk more closely in the Spirit but there is not a believer that does not have the Holy Spirit for if you don’t have the Holy Spirit, you are none of Christ’s. Romans chapter 8 is predominantly about the Holy Spirit’s indwelling, work, and says “You, however, are not in the flesh but in the Spirit, if in fact the Spirit of God dwells in you. Anyone who does not have the Spirit of Christ does not belong to him. But if Christ is in you, although the body is dead because of sin, the Spirit is life because of righteousness. If the Spirit of him who raised Jesus from the dead dwells in you, he who raised Christ Jesus from the dead will also give life to your mortal bodies through his Spirit who dwells in you” (Romans 8:8-11). If you have the Holy Spirit, you have this anointing and in fact, “all who are led by the Spirit of God are sons of God. For you did not receive the spirit of slavery to fall back into fear, but you have received the Spirit of adoption as sons, by whom we cry, ‘Abba! Father!’ The Spirit himself bears witness with our spirit that we are children of God, and if children, then heirs—heirs of God and fellow heirs with Christ, provided we suffer with him in order that we may also be glorified with him” (Romans 8:14-17). Those who are not born again cannot have this anointing but if God is calling them, they are being led by the Spirit to come to Christ. 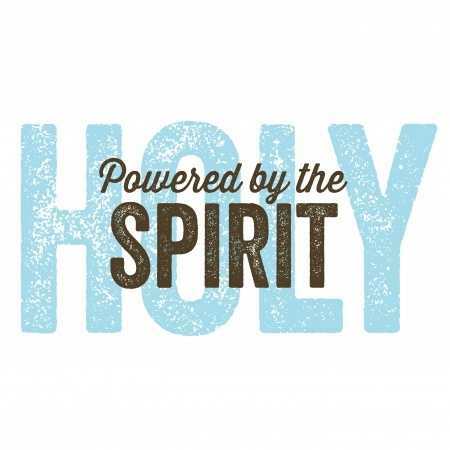 For the Christian to be filled with the Spirit means that they will experience an anointing of the power, praise, and purity of the believer and this is only possible for those who are walking in the Spirit and are being indwelt by the Holy Spirit. For the Christian to be filled with the Spirit means that they will experience an anointing of the power, praise, and purity of the believer and this is only possible for those who are walking in the Spirit and are being indwelt by the Holy Spirit. This is how “we know that we abide in him and he in us, because he has given us of his Spirit” (1 John 4:13). Jesus was anointed by God (Acts 10:38; Acts 4:27) which is what Jesus Himself said “The Spirit of the Lord is upon me, because he has anointed me” (Luke 4:18) and why Paul wrote that we are to “be filled with the Spirit” (Ephesians 5:18) which is an anointing by God Himself in the Person of the Holy Spirit. We can do nothing that glorifies God but by the power of His Spirit. When a person is saved, they have the anointing and are sealed by the Spirit of God (Ephesians 1:12-14). If you are not born again, then you do not have the Spirit nor can you receive the Spirit until you repent and put your trust in Christ. You presently walk in the flesh and cannot please God (Romans 8:8). My suggestion is that if you are not yet saved, repent, confess your sins, and see your desperate need for a Savior, Jesus Christ, and put your trust in Him Who alone can save you. He will be your Judge if you are not saved or He will be your Savior if you are. For more about the Holy Spirit read this related article: Who or What is the Holy Spirit? Wonderful job on this Jack! Truly the Holy Spirit was with you in writing this article. Thank you for putting it so clearly and easy to understand. The Holy Spirit is our guide through life, telling us what we should be doing, thinking and saying. God bless you brother! Great job as always, friend! Thanks Derek…I am so inspired by your contributions to this website and your Barnabas-like encouragement my brother. I thank God for you and knowing you as a friend that is more like a brother. Another wonderful, inspiring article with Scriptures, Pastor Jack!! Thanks bunches, my precious Brother! Agree totally with Derek…you truly WERE INSPIRED BY JESUS’ HOLY SPIRIT, Pastor!!! ALL PRAISES, GLORY AND HONOR UNTO OUR FATHER GOD, HIS SON, JESUS, HIS HOLY SPIRIT FOREVER!!! AMEN!!! Thanks Patty my sister in Christ. You too have the Holy Spirit and it is obvious to me since you are always speaking in love and edifying others in the Body of Christ. I truly thank God for you my good friend. Pastor Jack explained to me about ‘the situation.’ Understand completely, Derek. Very insightful. Thanks for the help brother! Thank you for your encouragement pastor. So blessed reading your lesson here “What is Anointing Of The Holy Spirit? Thank you very much! I’m Pastor Corazon Moico of JILCWorldwide Tabaco City Albay Philippines.